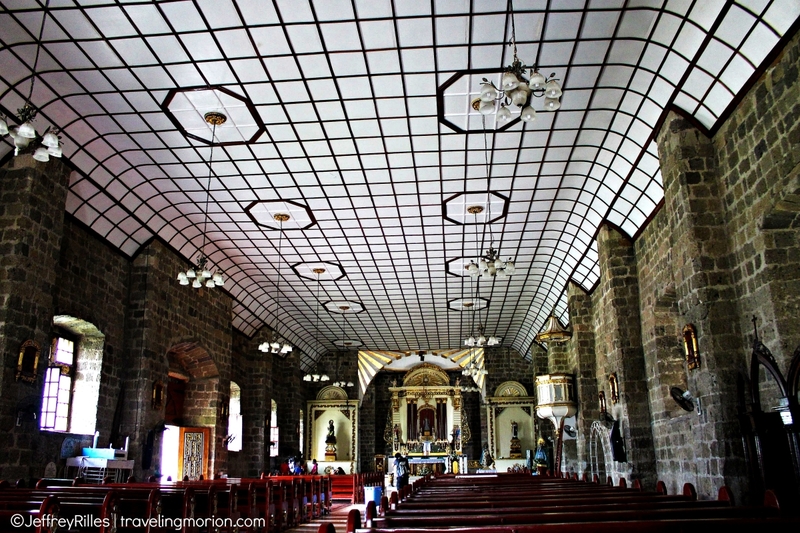 Set in the beautiful town of Magdalena in Laguna, the St. Mary Magdalene Church is a great landmark to visit for all tourists visiting the place – not just for Roman Catholics. 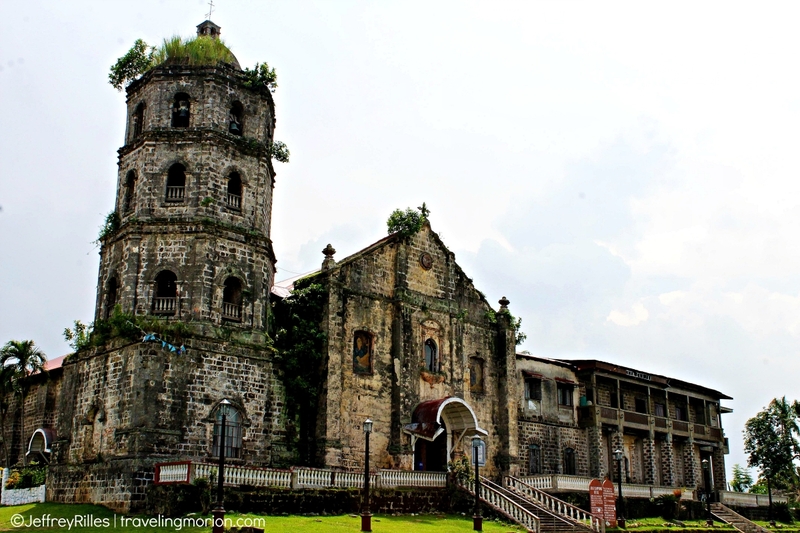 You see, this wonderful church is not just a religious venue but also a landmark that shows the heritage of the Filipino people. 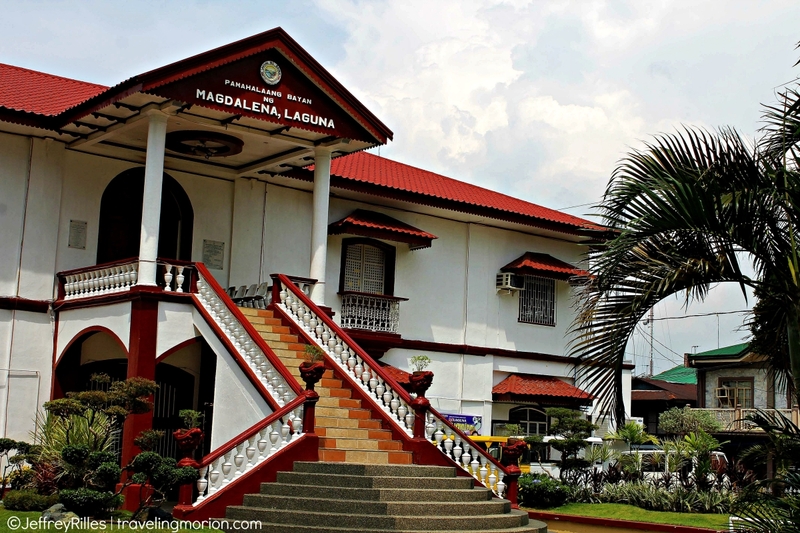 Plus, it would be difficult to miss this place because it is set in the central part of the town, just in front of the town’s municipal hall. 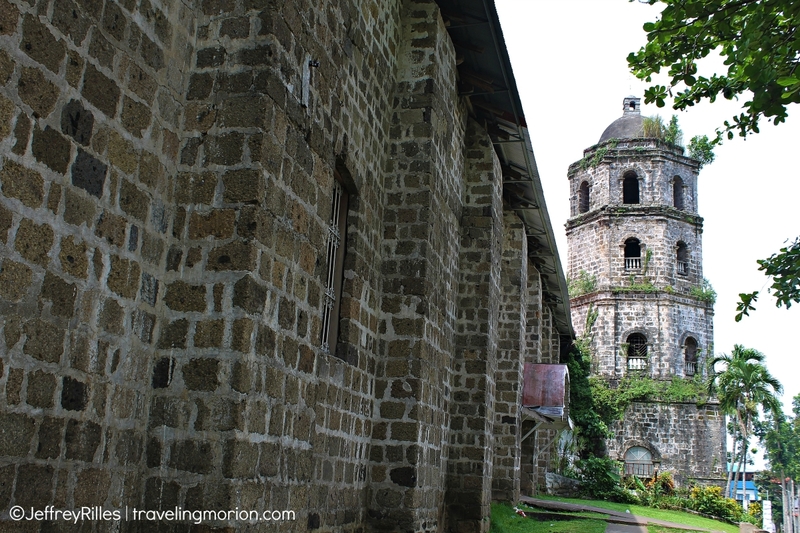 Even from its façade, you would know this is an old church that has lived through decades of rich history. A little different from most churches in the country, it has a large balcony-like structure in front where the churchgoers and visitors pass through. There are stairs in the middle that lead up to the cavernous main door. 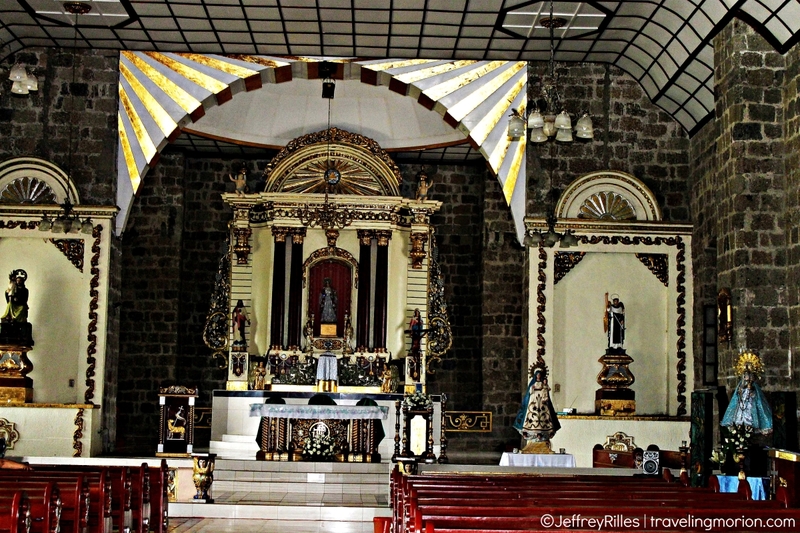 Inside the church, I was awed by the grandeur of this old building. As is expected in an old church, it had very high ceilings, though this one was not littered with frescoes but was made of geometric shapes. Its hallowed walls appear to be made of thick stones – authentic stones that date back several centuries ago, not hollow blocks or fancy tiles. Of course, this is expected of most old churches, making them more beautiful than ever. The shiny pews line up to the front, providing parishioners with a comfortable place to sit on while communing with God. At the altar are the images of saints, a beautiful pulpit, and lovely candleholders. 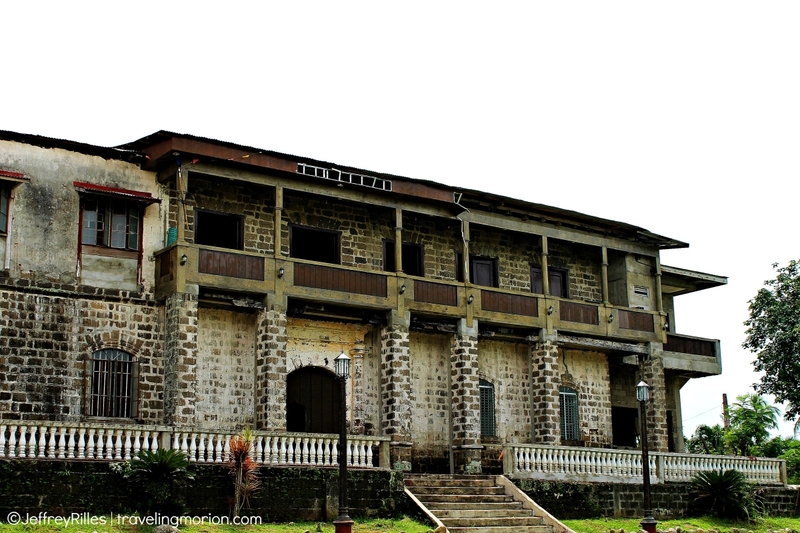 What makes this church extra special is that it holds the relics of Gen. Emilio Jacinto whose blood stained the floors of the sanctuary he had ran to after he was mortally wounded. Yes, Jacinto is not a saint but he is a great man who had a huge contribution in the revolution and had helped pave the way to our freedom. 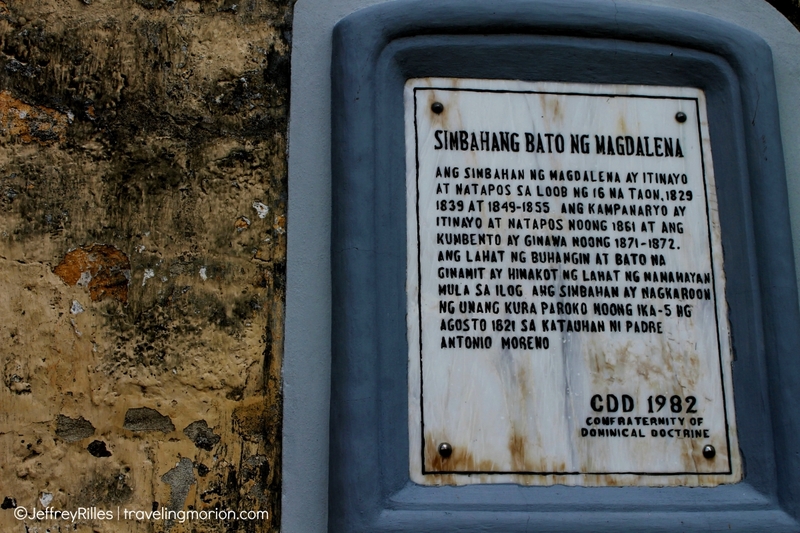 Thus, the church chose to honor his relics by dedicating a spot for him there. At the church façade, you can see the image of St. Mary Magdalene, the saint the church is named after. 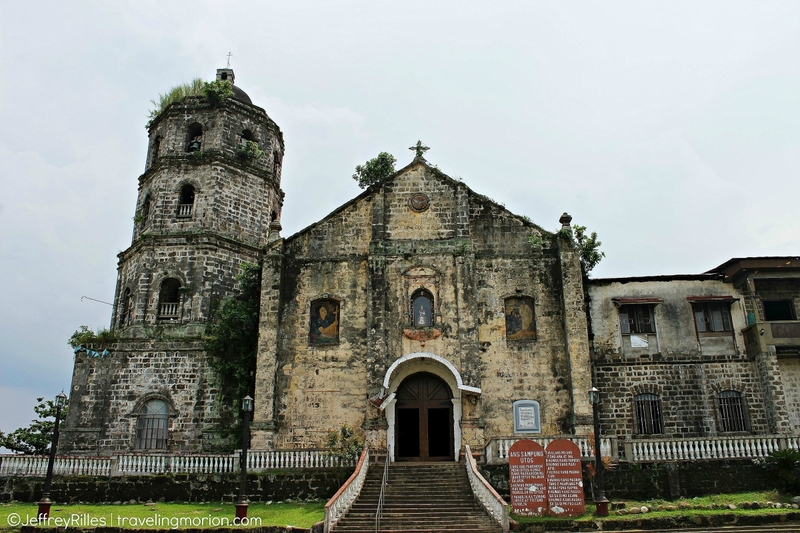 Its expansive grounds and lovely location makes this church a top spot for touring Magdalena,Laguna, or for grand weddings and other religious events. I love seeing the old churches through your blog. I have never seen them physically but hopefully someday I would. Great that you have taken us what's inside those historical buildings. 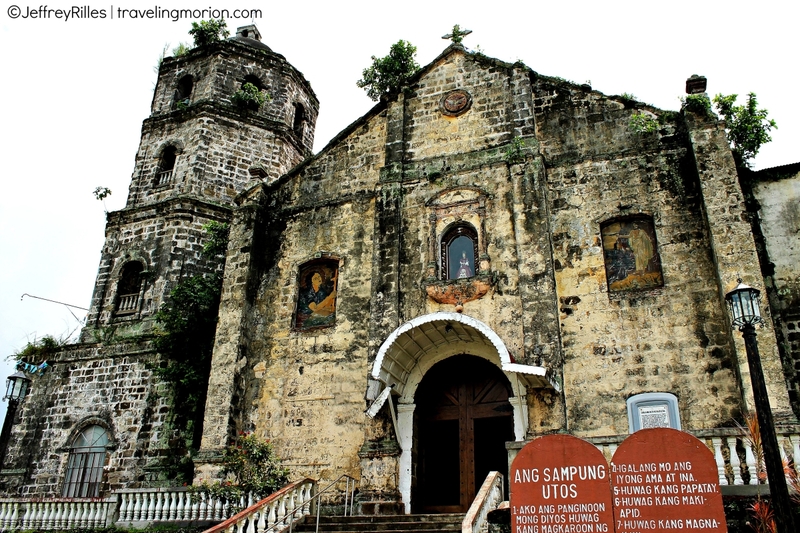 The church looks very familiar so when I did a short research, I found out that the late FPJ (Fernando Poe, Jr) has shot some scenes in this church numerous times in his movies. How to go here from Manila? panu po pumunta jn, kapag manggagaling na manila.. at kapag my sariling ssakyan..